In Cyprus, from about June onwards my cravings for stuffed zucchini flowers or “athous”, as they are known in Cyprus, begin. These are a pretty usual staple at my aunt’s house for lunch. Steaming hot. A subtle but moreish flavour. 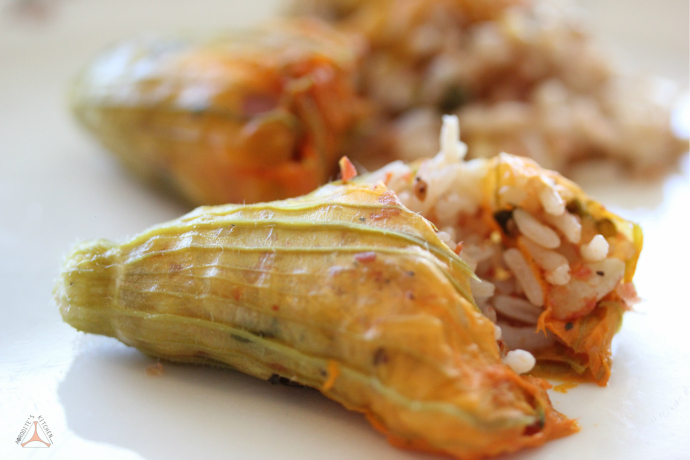 Stuffed zucchini flowers are pretty delicate and also easy to mess up. It is very easy to create stuffed zucchini flowers without much taste. Too much water or rice, and you could end up with something pretty bland but if made properly, they are incredible. 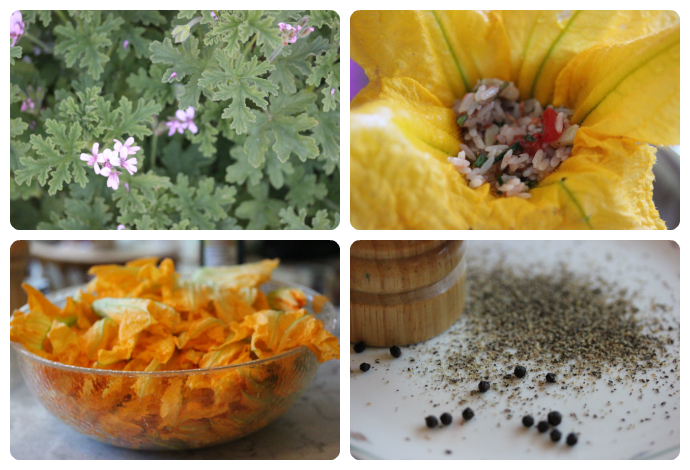 The tasty flower combines with a tomato flavoured, and sometimes spicy (in my house at least), rice stuffing. They can be served as an appetizer or as a main course. You can also make these if you are craving a bit of Cyprus food, and don’t live in Cyprus. 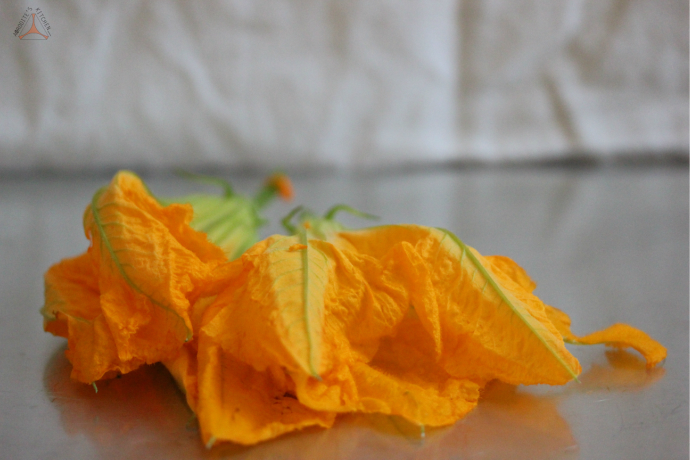 You either grow your own zucchini flowers, or find a friend who has some zucchini flowers growing in their backyard, or befriend a local farmer. Speaking of which, it is always best to pick the flowers in the morning when the flowers are open, otherwise it can be quite tough to stuff them. Another trick is to place the flowers in water for about ten minutes before you stuff them if the blooms are wilting. This will help give them some energy back. 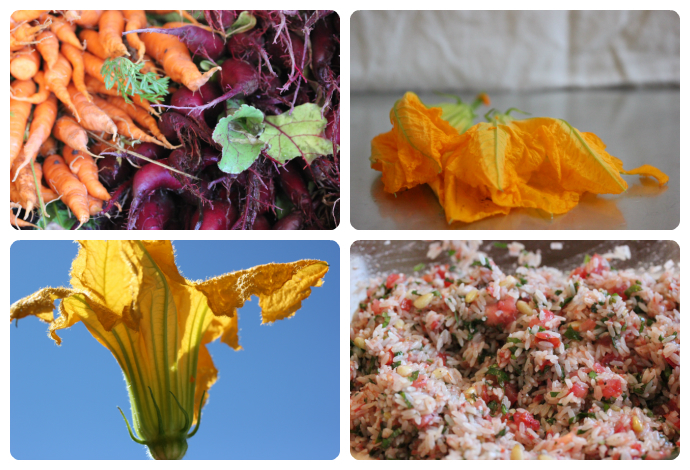 This recipe is very much recommended as a fantastic summer dish for vegetarians. I am pretty sure you could experiment with a few spices if you are feeling up for it too. 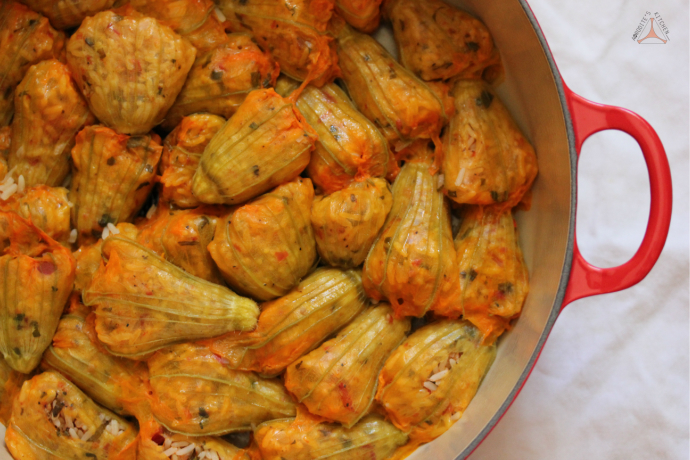 The recipe below is a traditional version with some added pine nuts, basil and extra pepper for extra taste. Enjoy. And a happy, happy summer to you! 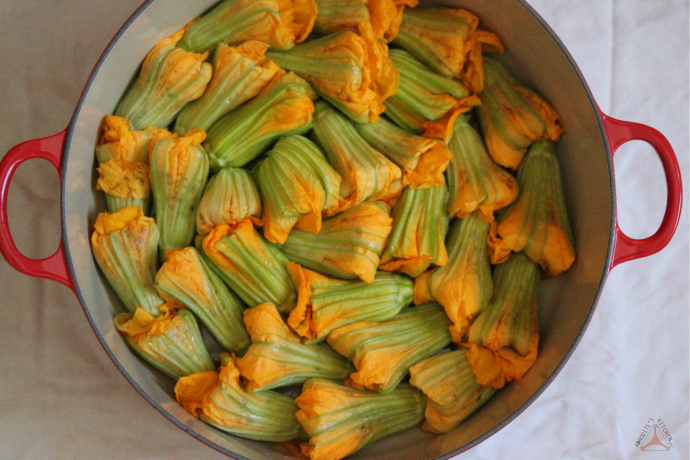 Makes about 60 stuffed zucchini flowers. 1. Place the flowers in a large bowl of cold water and remove the stems. Drain the same. 2. In a bowl, mix together the rice, onion, parsley, mint, basil, tomato, passata, pine nuts, pepper, olive oil, salt and cinnamon (which is optional). 3. Using a spoon, stuff each flower with some mixture and fold over the ends of the petals. 4. Drizzle 2 tbs olive oil on the bottom of a large saucepan. 5. Arrange the flowers in a large saucepan in a circular pattern, side by side. It is better to use two saucepans, so there is only one level of flowers. If you pile the flowers on top of each other, the rice may be uncooked and overcooked. If you are concerned, simply cut the recipe in half. 6. Pour 1.5 cups of water in each saucepan, so that the water comes up to about half the height of the zucchini flowers. 7. Place a large plate covering the flowers on top. Place the saucepan on the stove on medium heat, cooking for about 20-25 minutes until most of the liquid has been absorbed.